Mediterráneo Stadium, built in 2004 is used for both athletics and football matches. 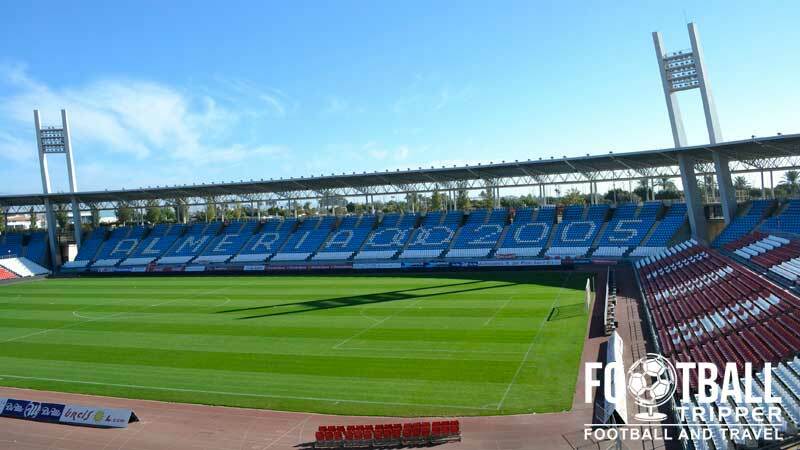 It hosted the 2004 Mediterranean Games and is now the home stadium of UD Almería who play in the top flight of Spanish football, La Liga. The capacity is 22,000 making it one of the smaller grounds in the league. Estadio de los Juegos Mediterráneos was initially built as a stadium for the Mediterranean games but after the tournament had finished it made sense to share its usage with a team who could use regularly use it, and thus UD Almería moved out of the much older Estadio Juan Rojas similar to what Manchester City did with the Etihad Arena which was a former Commonwealth Games stadium. Built at a cost of €22 million with an initial capacity of 15,000, when Almería moved into the stadium the viability of additional seating was explored and it was found that an additional 7,000 spectators could be added to the stadium by placing temporary seating on top of the Athletics track whilst not hindering its further usage if the occasion required. Managed by the local council, the Mediterranean Games Stadium features modern day football facilities such as VIP Boxes, and an additional training pitch next door which makes it a truly multi purpose stadium, and a great example of how a sporting arena can avoid becoming a so called “White Elephant” following the conclusion of a major sporting event. Mediterráneos is comprised of four sections: Fondo Norte, Preferencia Baja (East) Fondo Sud, and Tribuna Baja (West). Union Deportiva Almería are estimated to be the 26th largest team in Spain by support, with a CIS survey in May 2007 putting their fanbase at 0.3% of total football supporters. 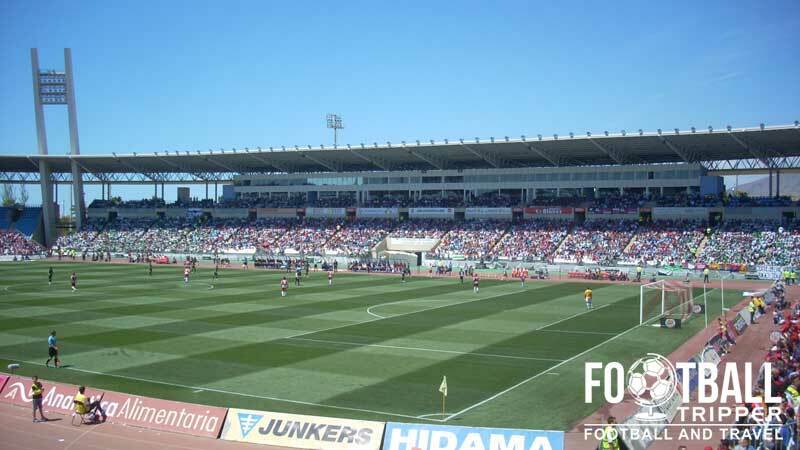 The season after they were promoted to first division (2007-2008), the club sold their allocation of 15,000 season ticket holders and even saw record attendance when they hosted Real Madrid, with 21,500 fans cramming into the Estadio Municipal to see Rojiblancos take on Los Galácticos. However in line with attendance trends throughout Spanish football following the global recession of 2008, the number of season ticket holders declined greatly, with an estimated 5000 reduction in subscribers to the club. This was reduced even further when they were relegated to the second division in the 2010/2011 season. This resulted in the number of season ticket holders going down to half of what it was a few seasons prior. Having returned to the top flight for the last two seasons, the club are in a good position to build upon the recent success of getting to the Copa Del Rey semi-finals in 2011, and as well as triumphs in the Almeria derby. Contested against Sports Club Ejido, the rivalry intensified when both clubs languished in the Segunda Division between 2002-2007 with Almeria laying claim to bragging rights having beat their neighbours 5 times compared to Poly Ejido’s 3 victories. Deportiva Almería sitting inside the Curva Sud with a great view of the action on the pitch. As Spanish football doesn’t really have the same away culture as England and other European countries there isn’t really a dedicated section for the visiting fans. Usually the visiting supporters are housed within either corner of the Preferencia which is the main stand. Not the largest city in Spain, there aren’t an abundance of pubs and bars both around the stadium and near the historic waterfront. The map below outlines two of the more popular sports bars which are fan friendly. Historically Almería has been culturally isolated from mainland Spain, resulting in a self-sufficient and simple cuisine which is based upon local produce, most notable sea food (Mackerel, Octopus, Prawns). You will find the highest density of dining options back towards Avenue del Mediterraneo where there are a range of dining options including Stanley Demarco, Cafeteria Roypa, Hamburgueseria Milo and Pizza Express. We currently have no information regarding the existence and opening hours of Almería club shops but we will update as soon as we know more. It would be pretty reasonable to assume that there is a store at the stadium available on match days but exact opening times are unknown. You can however try to contact the club by visiting the official online store and clicking “contact us” link within the footer. Likewise with the club store. 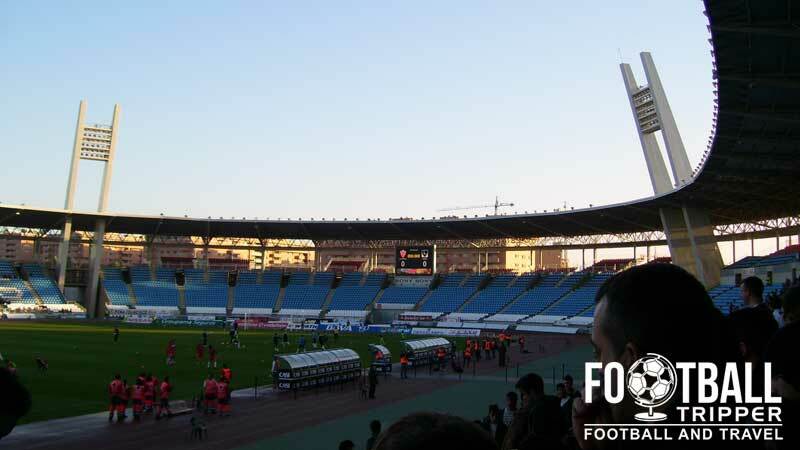 there isn’t much publicly available information concerning tours of Estadio de los Juegos Mediterráneos, so stadium tours may unfortunately not be available. 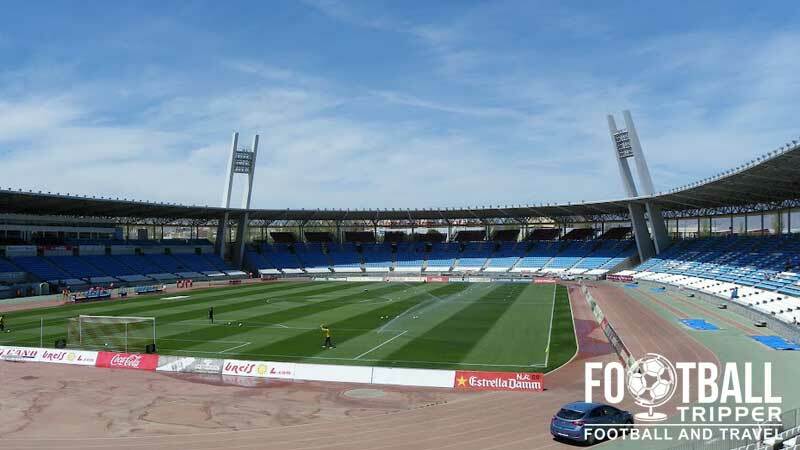 Tickets to see Almería play can either be purchased Online or at one of the many “taquilla” (Ticket windows) located around the Stadium with tickets generally going on sale in the week leading up to and on the day of the match providing they don’t sell out. Opening hours for a lot of Spanish establishment generally follow a pattern where the working day is split into two halves such as morning 10.00 am-14.00 pm, and then the evening 4.00 pm – 8.00 pm for example. Estadio de los Juegos Mediterráneos is located 3km inland from the Gulf of Almería and as to be expected, the Mediterranean sea. Located towards the South East of Almeria’s urban area, the relatively small settlement allows fans to easily get to and from the stadium. The exterior of Estadio de los Jeugos, with the skyline you can really appreciate the outdoors design of the stadium. The walk from the city centre along Avenue del Mediterraneo shouldn’t take longer than 30 minutes. If driving from the East (Airport) then follow the Autovía N-344 until you see exit signs for the stadium/city. Coming from the West, drive on the N-340 and follow signs for Almeria’s city centre and then drive passed the railway station and in a straight line for approximately 2km. Calle Belladona 5, 04007 Almería. There is a large on-site carpark located just east of the ground which spans for at least the length and width of the pitch and then some. Almeria’s railway station is located 2.2km west of the stadium on the Plaza de la Estación, and offers services to all major cities within Span. Located centrally, it is very easy to walk to the Juegos Mediterráneos from the station. Simply follow Ctra. Sierra Alhamilla until you can turn right onto Camino de la Goleta. Follow this road until you can see the stadium. Almeria Railway Station Exterior, another beautiful building. The bus is also another decent option to have with the number 7 service departing from Avenida Federico García Lorca avenue in central taking you to the ground. Departing every 20-40 minutes on matchdays, head in the direction of La Goleta and hop off right outside the stadium with the journey taking you less than 15 minutes. Almeria International Airport is located 7km East of Estadio de los Juegos Mediterráneos and around 9km from the city itself. As the 4th largest airport of Andalusia it is deceptively busy, serving over 700,000 passengers a year. Once you have landed you can get to the city by following the A7/AL-17 Dual carriageway known as the “Motorway of the Mediterranean” via car/taxi or hopping on one of the many bus services outside the airport. Hotel wise, there’s literally nothing really near the Mediterranean Stadium with all hotel options being at least as far as the railway station, i.e 2km away. 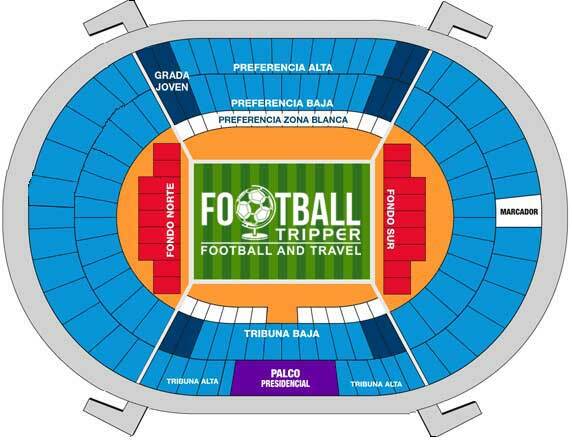 As a Football Tripper, and someone who wants to see the city as well as the stadium this is probably for the best with NH Ciudad De Almeria, AC Hotel Almeria and Hotel Sevilla being three cheap and cheerful options to consider.